In this lecture, Michael Bloomfield will discuss his book that examines how activism transformed the jewellery business. Gold mining can be a dirty business. It creates immense amounts of toxic materials that are difficult to dispose of. Mines are often developed without community consent, and working conditions for miners can be poor. Income from gold has funded wars and consumers buy wedding rings and gold chains not knowing about any of this. 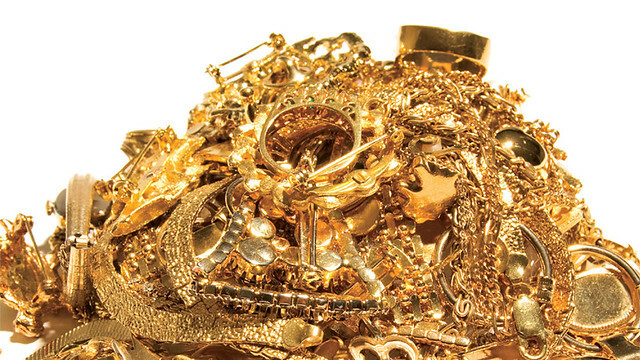 In Dirty Gold, Michael Bloomfield shows what happened when Earthworks, a small Washington-based NGO, launched a campaign for ethically sourced gold in the consumer jewellery market, targeting Tiffany and other major firms. The unfolding of the campaign and its effect on the jewellery industry offer a lesson in the growing influence of business in global environmental politics. Earthworks planned a ‘shame’ campaign, aimed at the companies' brands and reputations, betting that firms like Tiffany would not want to be associated with pollution, violence, and exploitation. As it happened, Tiffany contacted Earthworks before they could launch the campaign; the company was already looking for partners in finding ethically sourced gold. Michael Bloomfield examines the responses of three companies to ‘No Dirty Gold’ activism: Tiffany, Wal-Mart, and Brilliant Earth, a small company selling ethical jewellery. He finds they offer a case study in how firms respond to activist pressure and what happens when businesses participate in such private governance schemes as the Golden Rules and the Conflict-Free Gold Standard. Taking a firm-level view, Bloomfield examines the different opportunities for and constraints on corporate political mobilization within the industry. Michael Bloomfield is a Lecturer (Assistant Professor) in International Development at the University of Bath. He is a Research Associate at the Oxford Department of International Development and a Research Fellow at the Earth System Governance Project. His research focuses on global environmental politics and the politics of global supply chains. He consults on the environmental management of extractive industries in both developing and developed countries. Prior to his current position, Michael was Departmental Lecturer in Global Governance at the University of Oxford. He also taught at the London School of Economics and Political Science (LSE), where he completed his PhD in International Relations. Michael’s research focuses on global environmental politics with a particular interest in the role of business and civil society actors in the regulation of global supply chains.